Who want to be 100% confident and comfortable in your own skin ALL the time and be completely happy in yourself. Soochen Low has created 2 product solutions below to help you have an unstoppable attitude, block out the negativity and embrace who you truly are, the BEST you, or your BEST self, the self that is FREE of critical or negative talk about you, like “Can you do this?” or “Are you enough?”. When you learn the skills of how to be happy.positive.successful ALL the time, this is your key to create and live the life of your dreams as your BEST self where you are happy.positive.successful just as you have always wanted to be. When you decide to join Soochen and thousands of women entrepreneurs, female business owners and Mums on her Joy Campus, you are essentially learning her 5 Step Happy.Positive.Successful Formula. 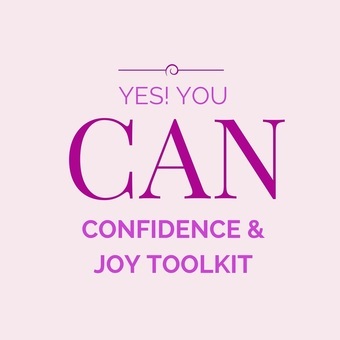 The 5 Step Happy.Positive.Successful Formula is the foundation of all her programs, designed to free you from your self doubts, fears, insecurities and worries about who you are and your life so that you become 100% confident and comfortable in your own skin all the time, finally say and feel "Yes You Can! Yes You are more than enough! to finally creating and living the life of your dreams. The 5 steps when practiced all the time become the skills that stay with you for life, designed to unlock your BEST self by tapping into your joy ALL the time and finally live the life of your dreams.